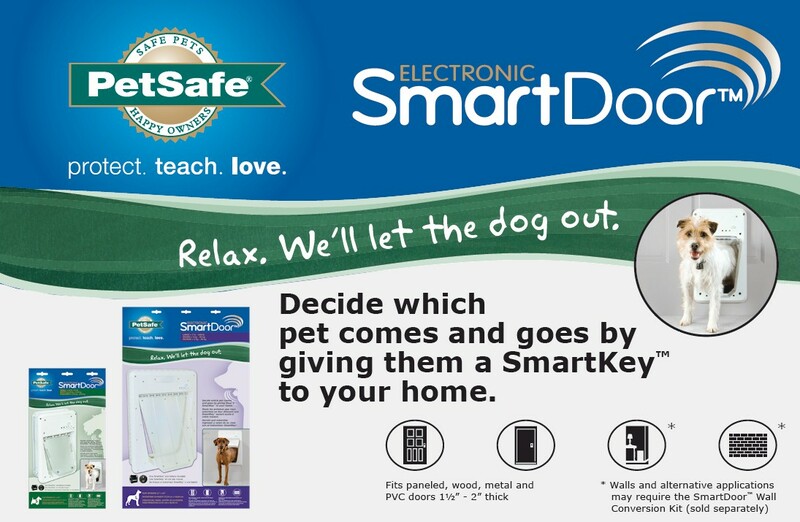 Our innovative Electronic SmartDoor gives your pet a key to the house so he can come and go as he pleases. Using radio-frequency technology, the SmartDoor reads the unique signal of a SmartKey™ worn on your pet’s collar and triggers the battery power-driven flap to unlock. When the SmartDoor no longer senses your pet’s SmartKey, the flap automatically locks back into place.